Dallas Personal Trainer - A fantastic and very effective strength and size builder for the triceps that is also a compound, functional exercise which makes it a favorite of strength coaches and many Dallas personal trainers as well. 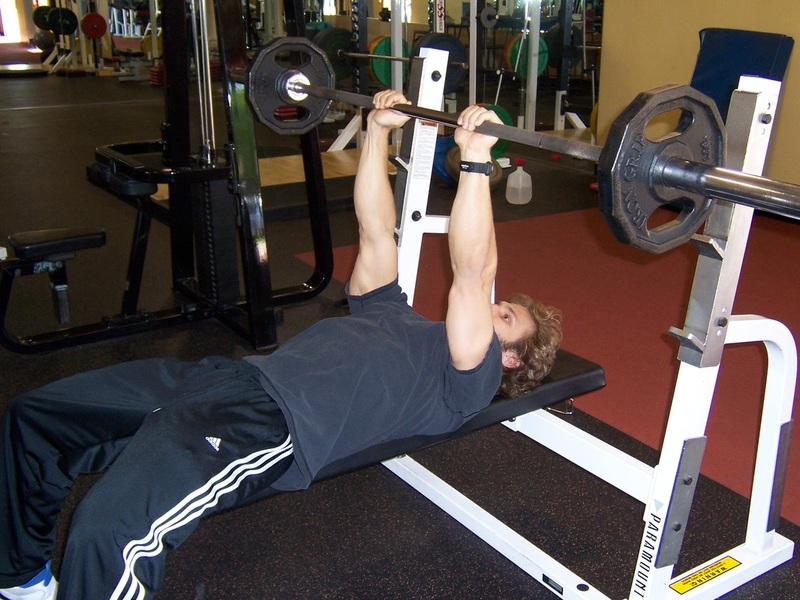 Lie on your back on a flat bench with a barbell rack. Grip the barbell with a shoulder width grip, or slightly narrower. Ifyou feel comfortable using a thumbless grip (as pictured) on this exercise, it will help put more pressure on your triceps. 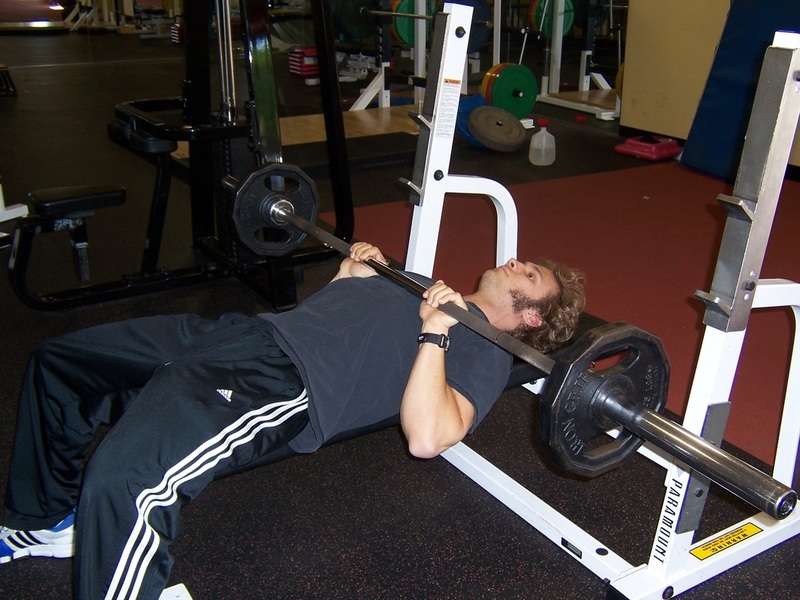 Lower the bar to your chest under control and after touching it to your chest, press it back up smoothly, keeping your lats (armpit muscles) tight and your elbows in close to your body. Lock your arms out at the top and go into the next rep.